I've teamed up with some of my friends to bring you a great list of slow cooker main dish recipes today! There are 17 delicious recipes to check out today. 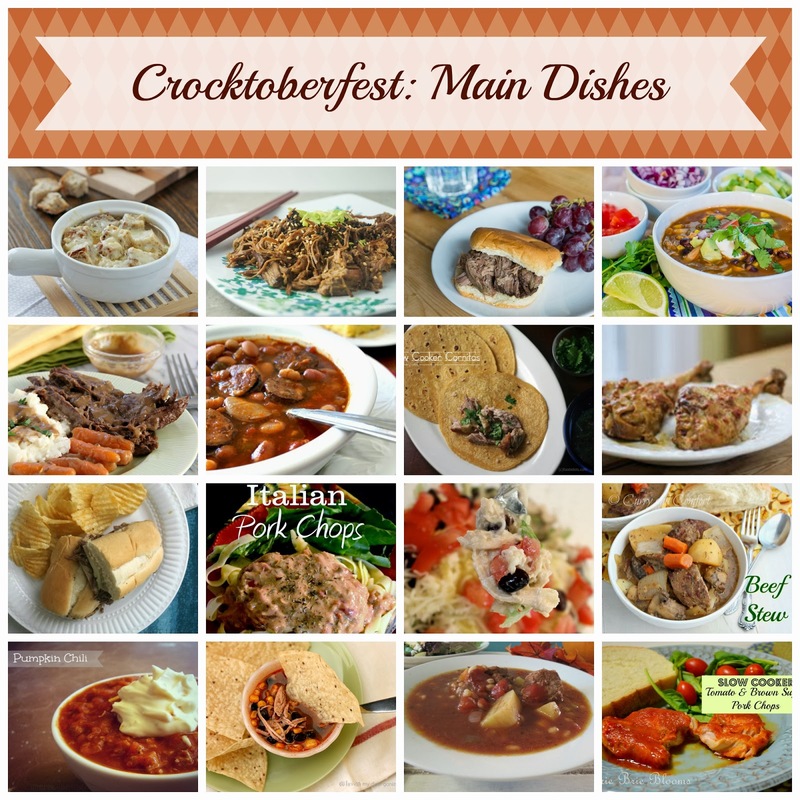 If you love slow cooker dishes then check out #crocktoberfest2013 on facebook, twitter, and instagram to find all the other recipes that will be shared this week. Fall is in the air. We have had loads of rainy and cool days so it's time to make dishes that warm us from the inside out. 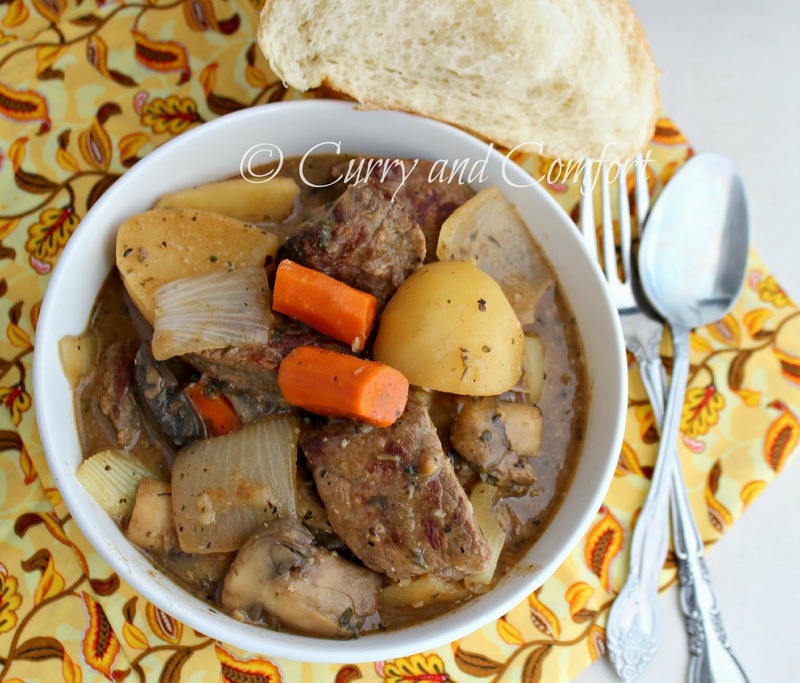 This beef stew takes a few minutes of prep time and then you throw the ingredients into the crock-pot and allow it to take on most of the work. I was able to put my feet up and watch movie as well as read the paper while this cooked away for our Sunday lunch. The broth is rich and perfect with a hunk of crusty buttered bread. I didn't cut the pieces of beef too small so they really stood out in the stew. 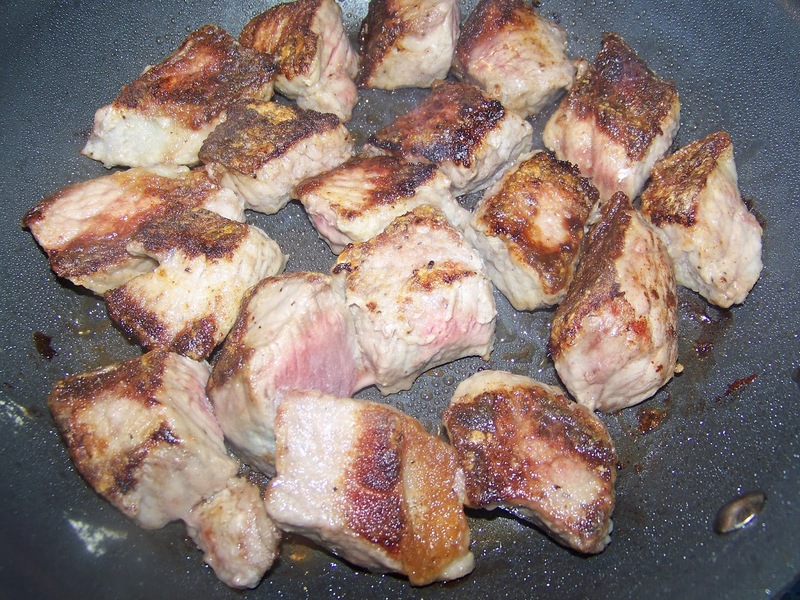 Dredge cubes of beef in a seasoned flour. Heat 2-3 Tbs of canola oil in a saute pan and brown all sides in batches. 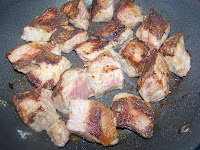 Remove from pan and continue browning until all beef is browned. 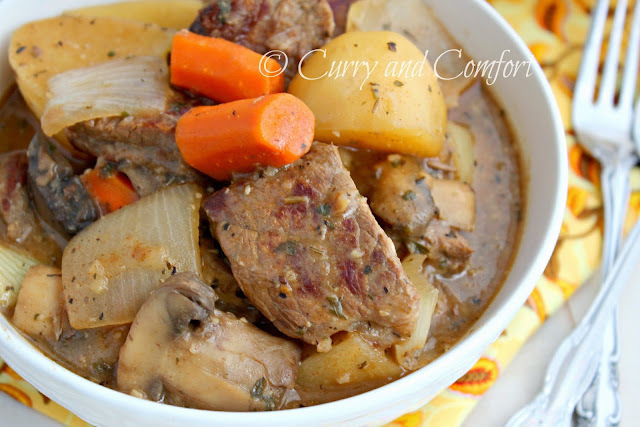 Place all ingredients and browned beef into slow cooker. Cook on high for 4-5 hours. Add slurry of flour and water to thicken in the last hour of cooking. Taste for salt and seasoning. Serve with crusty bread. Enjoy. Yum! Love Beef Stew!! This is such a great recipe! Loaded with lots of flavor!! Oooooh, look at the sear on those chunks of beef. I'm drooling over here (and it's only 9:30 am!). Your stew looks seriously delicious, Ramona. Pass a bowl, please? Wow! 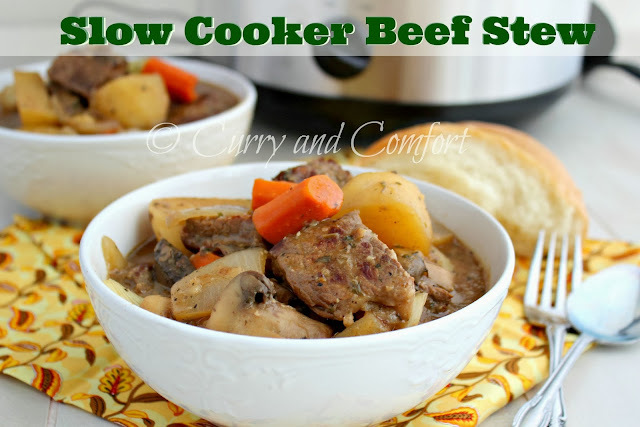 I'm a sucker for a good beef stew although I've never added ginger to mine. Can't wait to try it! Yum! This is perfect comfort food! YESSSSSSS I am planning on doing a whole bunch of stews on the blog in December and this is exactly the kind of comfort food I'm thinking of! :D Beef stew is one of those things I just can't get enough of. Amazing, Ramona! This looks so hearty and delicious! This would go over very well at my house! This looks amazing. I love when beef stew has big chucks of everything. So comforting! 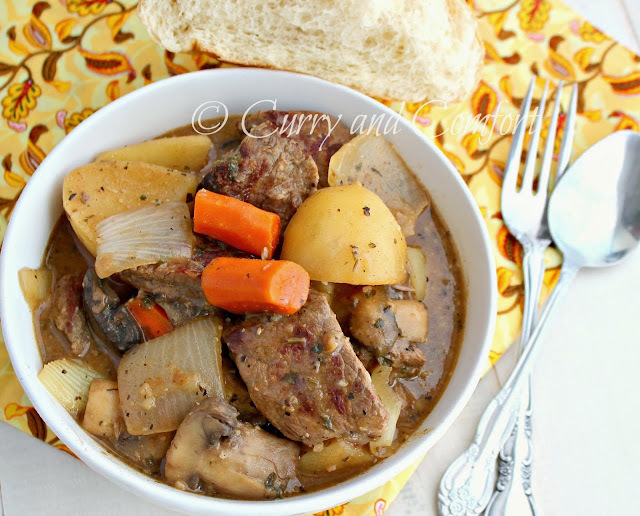 We love beef stew, and this looks fabulous! wow this beef stew looks spectacular! cant wait to make some once it gets a little colder here! 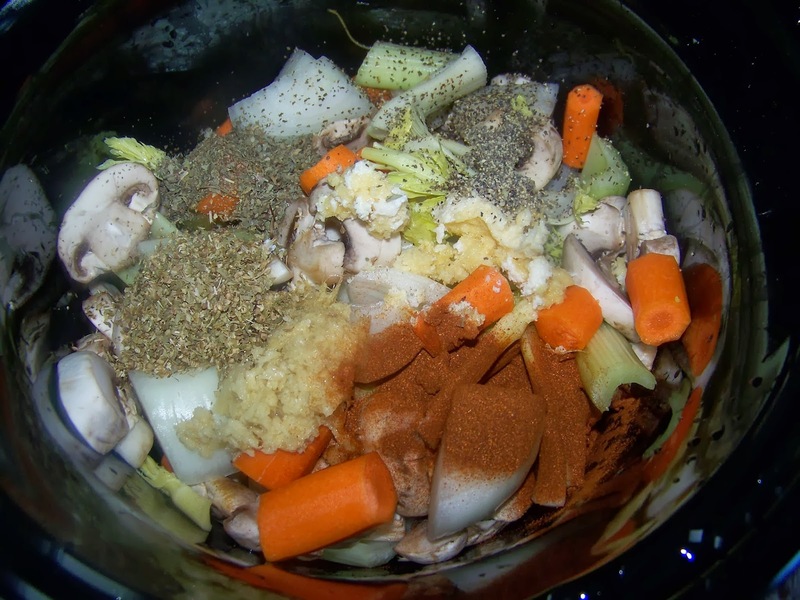 Looks darn good, I might try these spices with chicken and a slow cooker. 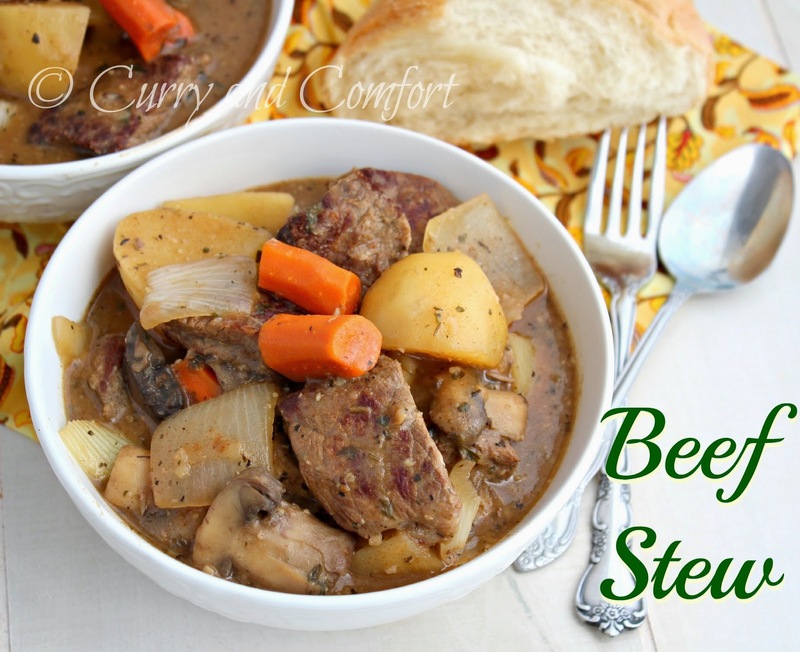 Classic comfort food, I just love beef stew!